EDINBURG — On the stat sheet, UTRGV came out of the gates with a strong opening half. 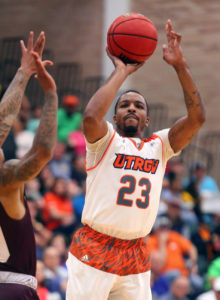 The Vaqueros made 48.6 percent of its shots, assisted on 13 of its 17 shots and held Texas Southern’s Jeremy Combs, the 2018-19 SWAC Player and Newcomer of the Year, to two field goals in the first 20 minutes. Of course, UTRGV coach Lew Hill had a firmer pulse on his ball club. His team was fighting through fatigue. Late in the second half, the levees broke and Texas Southern took control. After UTRGV opened up its largest lead of the game of 10 with 14:20 to go, the Tigers went on a 14-2 to go ahead. 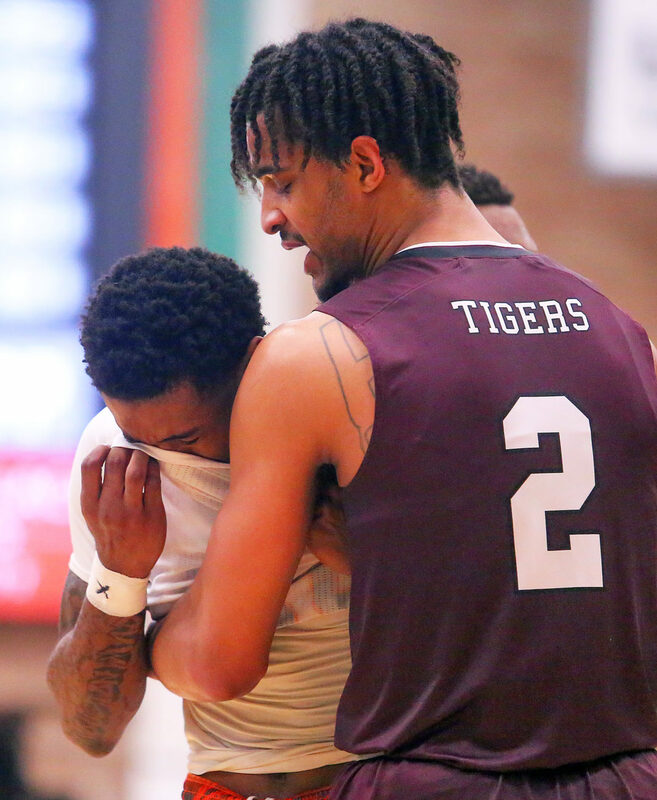 Texas Southern (23-13) ended the UTRGV season in its 94-85 win in the second round of the CollegeInsider.com Tournament on Monday in front of 2,216 fans at the UTRGV Fieldhouse. Texas Southern’s roster is not built like a typical mid-major program. The Tigers’ starting lineup consisted of four players who transferred to TSU from high-major programs in Div. I. Combs and guard Jalyn Patterson were former LSU Tigers, Devocio Butler came from Colorado State and big man Eden Ewing started his college career at Purdue. Combs turned it on late and finished with 27 points and nine rebounds. Patterson added 10 points and four assists. Butler scored 11 points, grabbed six rebounds and dished out four assists. Ewing, a Greater Houston-area native from Richmond, tossed out six dimes in nearly 21 and a half minutes of playing time. The seniors led the way for UTRGV. Tyson Smith ended his college on fire from the outside, nailing 3 of 6 3-pointers on his way to a team-high 18 points. Forward Terry Winn III poured in 17 points in his final game. Winn finished two points shy of 1,000 for his UTRGV career. The 37 regular season games for UTRGV (20-17) this season is more than any other in school history. Forward Solomon Hainna, a graduate transfer from Evansville and Air Force veteran, reflected on his final time in a Vaqueros uniform.